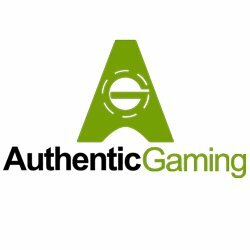 Authentic Gaming defines and introduces itself already through its name. This online live casino strives to bring you a real casino experience through sending you live feeds directly from land-based casinos. This works extremely well, since all their live roulette tables are from real land-based casinos over the globe. 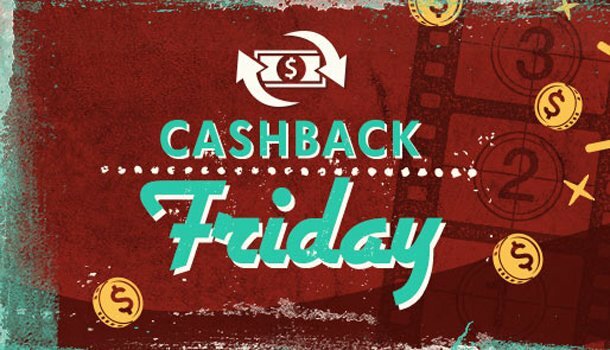 Authentic Gaming’s live casino offer is made up of a live audio and visual feed directly from the land-based casinos named. 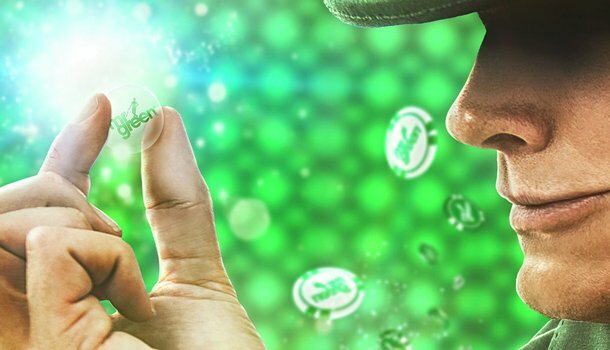 This means that the sound and visual feed may not be as high as you are used to from the live casinos from Evolution Gaming or NetEnt. 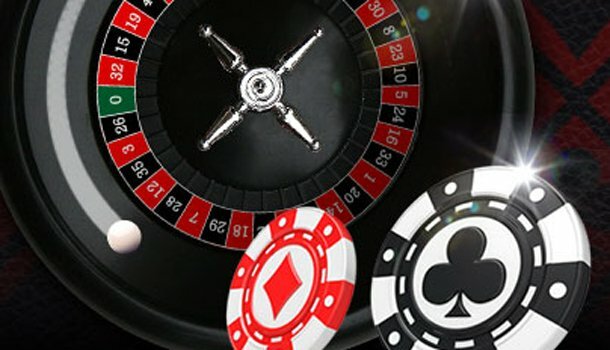 This is not only due to the fact that these tables are not made purely for live casino, but also because they have no control over the sounds of other players that are present at the land-based casino. This does however, improve the real casino feeling, since you see other players that are actually betting on the table of the land-based casino. If you are tired of the professional, but studio produces live casinos, Authentic Gaming might just be the right live casino software provider for you. Unfortunately however, it is not possible to change the camera views, nor the quality of the live video feed. Authentic Gaming also offers all their players an impressive extra feature. Not only are the statistics easily found in a neat overview, but they also offer you a lot of help in regards to betting. Thus, you can bet on many different options without having to place the bets on the table layout yourself, such as Red Snake or Black Splits, as well as Orphelins Cheval or Orphelins Plein. The live roulette games have attractive limits between £ 0.20 and £ 250. 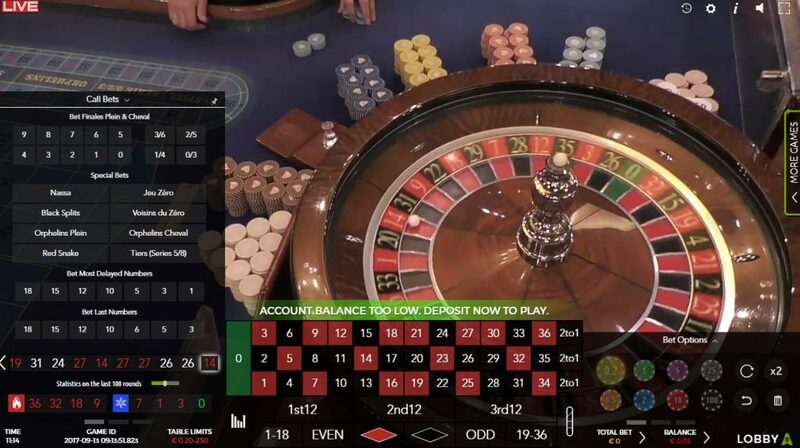 Authenic Gaming offers players quite an attractive amount of roulette games. Even so, not all the games are available 24/7. Games such as Classic (original) roulette, Professional roulette, and Superieur roulette are only available between 16:00 and 04:00. 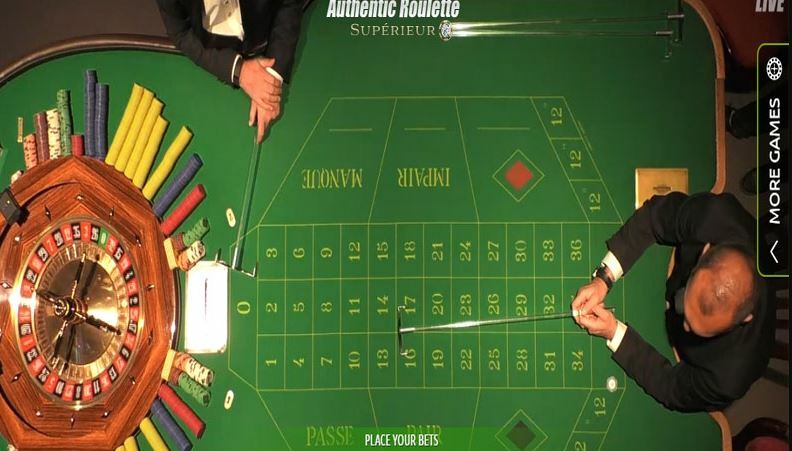 Check out Authentic Gaming’s roulette games! 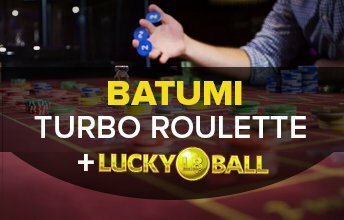 At this live roulette table, you can not only take advantage of the Turbo roulette table with faster rounds, but also the exclusive Lucky Ball side bets. This table also makes use of the immersive video camera views. 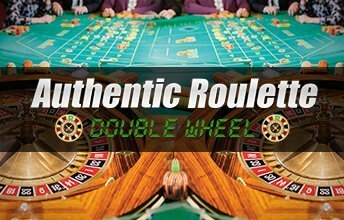 This Double Wheel Roulette differs from the Double Ball Roulette tables of Evolution Gaming and Ezugi in that there are two wheels instead of two balls in one wheel. This entails that you can bet on one table, but have two outcomes, on two different wheels. Thus, there is no chance the roulette balls will bump into each other etc. The pay-outs are also increased more than classic roulette. This table is available 24/7 and also offers players the possibility of late betting. This means that you can practise your Visual Ballistics skills at this roulette table. Authentic Gaming does offer players the real casino experience, but the video and audio quality is unfortunately lower than our expectations. There is no way to change the video cameras, not improve the quality. The quality of the tables themselves is also rather low, as they are quite old and used. The statistics and betting options, as well as amount of roulette tables do however make up for this. 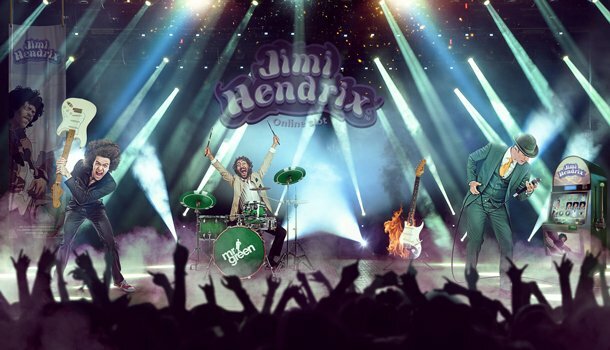 We would suggest this live casino for people who wish to receive the real, authentic, live casino experience.